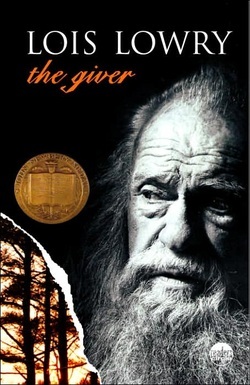 In the book “The Giver” Jonas is a boy who lives in a prefect community. Jonas is nervous about a ceremony called the “Ceremony of Twelve.” The ceremony leads Jonas to a job that gives him forbidden knowledge. The knowledge leads him to believe that his community is not perfect, so he sets out to change the community. The theme of the book The Giver is that Jonas’s community is not perfect because the community has gave up too much. They gave up their feelings, job choice, their ability to choose their spouse and children, and the ability to see color. Do you agree that the community is perfect or do you think that it’s not perfect? I think Jonas’s community is not perfect, because the people gave up to much, and things need to change. This book is great, but a little weird. In the beginning it is not that good because it such a different and uncommon place, but at the middle and end it gets very interesting because his job gives him information that makes his life different than everyone else’s lives. I was as shocked as Jonas was when I found out what release meant, Jonas’s Dad had to release a new born twin and Jonas got to watch. I would give this book 3 out of 5 stars. I would recommend this book to people who want to find out what a perfect world could be like.